WHY OUTSOURCE YOUR IT PROJECT TO BUCHAREST (EASTERN EUROPE)? Outsourcing your IT project to a thriving IT outsourcing hub like Bucharest allows you to easily access professional IT specialists at competitive prices while reducing your time-to-market. This trend is being widely embraced by companies of all sizes including start-ups, mid-sized companies, multinationals, nearshore and offshore. Bucharest is a focal point of interest on the IT outsourcing map due to the benefits the city brings to European and North American companies who outsource their projects here. It has been recognized as one of the fastest-growing tech cities in Europe. Half of the outsourcing employees in Romania work in Bucharest according to CBRE data and 38% of all IT companies in Romania are located there. Bucharest is the capital & largest city of Romania as well as its cultural, industrial, and financial center – being the 6th largest city in the EU by population, and one of the main industrial centers/transportation hubs in all of Eastern Europe. Pentalog’s Bucharest delivery center was launched in 2004, being the 2nd IT Outsourcing center the company opened in Romania. 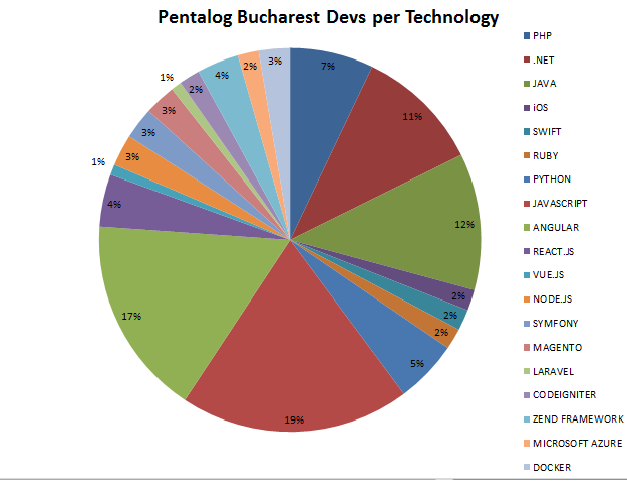 With 130+ IT engineers, Pentalog Bucharest is an important hub for Embedded Systems, Business Intelligence and Business Analysis specialists, as well as for JAVA, PHP, .NET, front-end, and mobile developers. 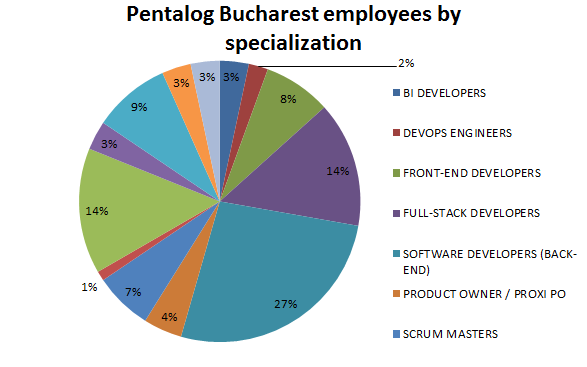 Pentalog’s delivery center in Bucharest alone is managing over 25 IT projects for 20+ different clients (in the USA, France, Sweden, Germany, Switzerland, UK, Austria, Belgium). Developing powerful digital products worldwide has been the core activity of Pentalog’s Bucharest for over 15 years and our story goes on. Projects developed in Pentalog Bucharest are related to various fields such as media communication, digital marketing, document management or e-learning. Our teams are ready and capable of delivering quality technical solutions for multimedia and hardware oriented projects, as well as Business Intelligence and Business Analysis projects using an Agile approach. E-Commerce Platform Upgrade: Missguided, a multi-channel women’s clothing retailer from the UK contacted Pentalog to revamp its e-commerce website. Developers from Pentalog Bucharest worked on both the frontend and backend of the website, making sure everything was up to date while adding new features to both ends. Managing Technical Debt: An online marketing platform that allows its users to merge creativity and data to create media campaigns across all channels decided to use Pentalog as an outside pair of eyes to analyze and optimize its source code. After performing maintenance services, Pentalog developers were able to eliminate all bugs in the platform and refactor the code for easier maintenance. Digital Transformation: Sur Mesure needed leverage to support its growth through digital transformation and to stimulate its international development. The SME turned to Pentalog, first for a diagnostic of its IT system, then for overall IT optimization in both its production and marketing departments. Pentalog is a digital one stop shop dedicated to IT outsourcing projects with more than 25 years of experience on the IT market. We are committed to supporting our clients 100% at every step of the software development process, information systems operation, and maintenance throughout the entire solution lifecycle. Ready to outsource your IT project in Bucharest?